Lift Up startup team is working on creating devices for wheelchair that will help the user lift up and down the stairs without anybody’s help. 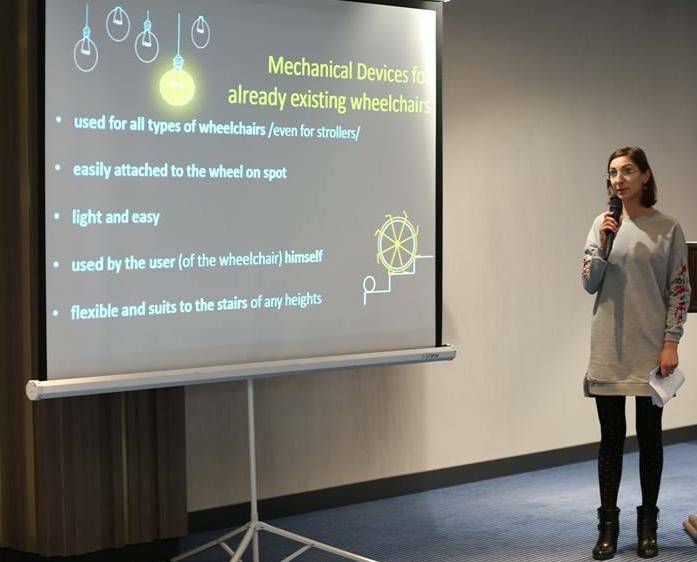 According to the startup co-founder Astghik Osyan, the devices are mechanical, can be attached to any type of already existing wheelchair, fit to any type of wheels, and be used on spot while reaching the stairs. “The team leader is a specialist in social sciences. Lots of problems concerning people with disabilities were raised during the work experience and research. One of the problems was the fact that many people using wheelchair are limited in their moves and have no opportunity to get out of their houses because of the stairs. This brings to social isolation. 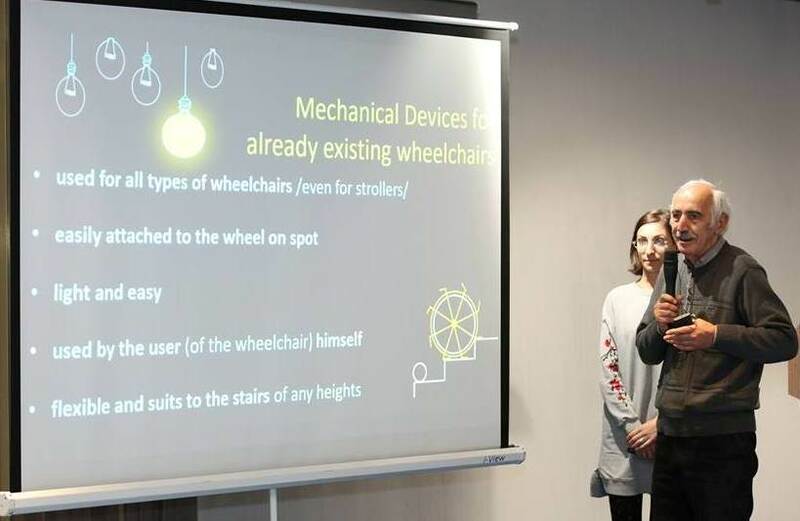 So we started thinking of creating something to ease the life of people using wheelchair and their families,” Astghik Osyan noted. While researching the market, the team found out that there are no mechanical devices that can be used on spot for any type of wheelchair. “There are some ramps that are either too big or heavy, or can lift only few steps. There are also different types of lifting or climbing wheelchairs that cost about $2000. This is too expensive for people with disabilities,” Astghik explained. According to her, their product will cost much less because of its mechanical construction. “The device is light and easy to use. It can be used for any types of wheelchair even for baby stroller. The devices can be used on spot when reaching the stairs by the user himself,” the startup co-founder informed. 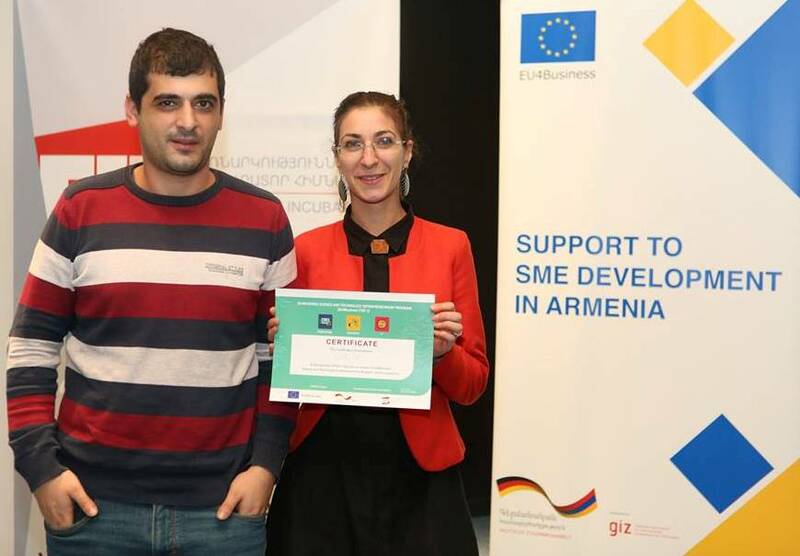 EU is one of the main markets for the startup, which received STEP grant in November 2018. “With the help of the STEP program we realized the sketches into real device. We are going to develop the device to ensure its safety and functionality,” Astghik told. The main difficulty Lift Up faced during its existence in the Armenian market was connected with reaching the target markets. 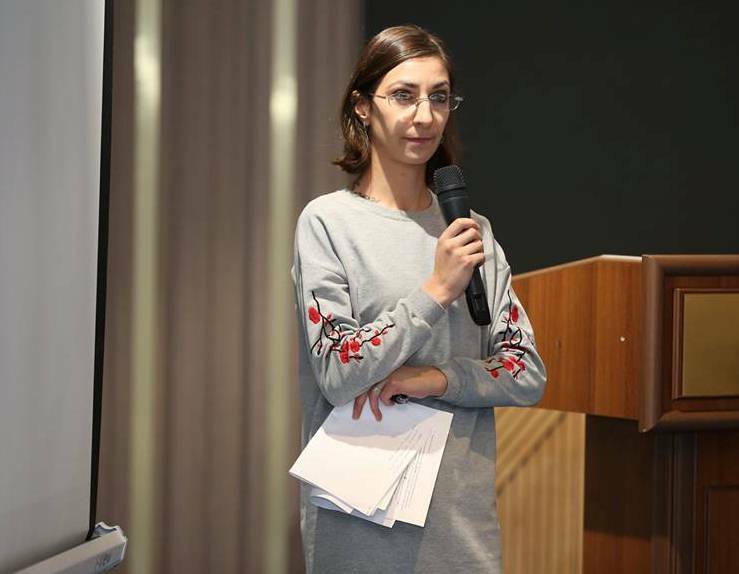 “This is because, on the one hand Armenian market is too small, and on the other hand it is not an easy task to reach global market,” Astghik explained. Lift Up team is planning to create final tested devices in nearest future. The testing process will last about 1 year to be sure that the devices are safe, strong and can be used for long time, the startup co-founder concluded.